Your Security – What are the Lessons from MVHR What’s in a Name? With the introduction of the Work Health and Safety Act 2011, came changes to the requirements that affects holders of the nationally recognised Certificates of Competency for Boiler Certificates and Reciprocating Steam Engines. Typically these were used in the Tourist and Heritage rail sector by drivers and firemen on steam locomotives and issued from March 1992. Prior to that there were “old style” certificates issued. These certificates have now become obsolete and need transferred over to a new High Risk Work Licence for those that wish to continue to legally operate steam locomotives. Another change is that HRWL’s are only valid for five years and therefore must be renewed at the end of that period. 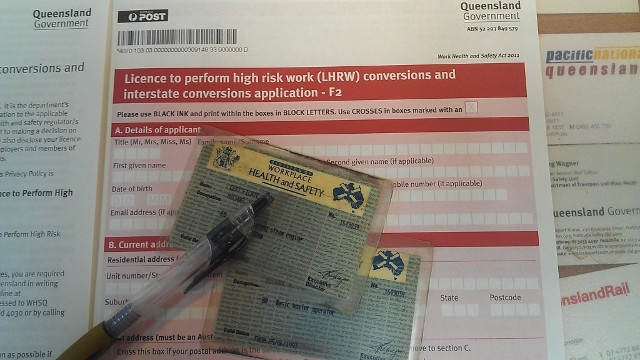 Old licences or Certificates must be transferred by 30 June 2013, so there is not much time left. The process to transfer old certificates of competency is quite simple, although it will cost you $70.00. 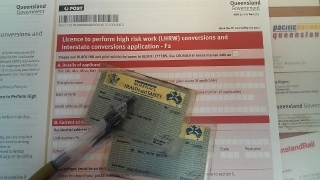 An application form is obtained from the post office. You need to carefully fill in the form, in black pen only and no mistakes. Post office staff will explain this. You need a recent passport quality photo, your old certificates or licences, and 100 points of identification – I used a passport (70 points) and a drivers licence (40 points). All this documentation is checked at the post office and they submit the form for you. You even get your old certificates back. More information is at the Work Health Website.